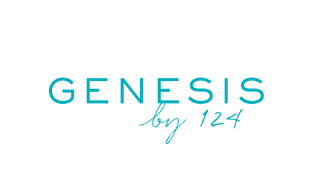 124 continually invests in and supports the growth of stylists through advanced education as well as business and personal development. Stylists’ performance is measured by experience, expertise and education. #124FAM grows stylists through a level system. Prices are reflective of the level stylist you see. Your stylist will consult one-on-one to identify a look that best complements your features and style. Everything from your face shape to the amount of styling time and products you use on a daily basis is considered in creating your signature look. All of our cuts are booked approximately 45 minutes to an hour and include a shampoo and blowdry. Perfect for a night (or day) out. Enjoy a luxurious shampoo, scalp massage and professional blowout with styling. Your stylist will customize your look to give you a lasting style. Have a picture or celeb-inspired look? Feel free to show it, or look through our Pinterest page. Your stylist will help you decide on the perfect look for your event. Please arrive with clean, dry hair to ensure plenty of time to achieve your desired style. 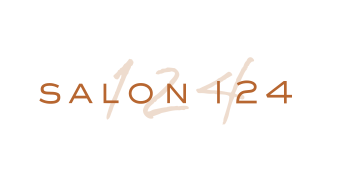 Salon 124 offers tape-in extensions from industry-leading Easihair Pro. We use only human hair. Based on your desired look, lifestyle and budget, we have an option to suit your needs. Add volume, length and chemical-free color with completely customizable extensions. To achieve your results, a consultation with an extension expert is required prior to booking your application service. Salon 124 stylists offer a variety of techniques in color application to help you achieve a look which complements your skin tone, eye color and overall style. From single-process coloring to customized balayage, your stylist will guide you to the perfect color based on your personal style, haircut and maintenance goals. Salon 124 uses internationally renowned Keune Haircosmetics to create everything from naturally radiant looks to intense, fashion-forward trends. Stylists also keep detailed records of your formulas to ensure your color is exactly what you want every time. Perfect for a little color enhancement or full grey coverage. This service can be completed using a semi or permanent color based on your maintenance goals. Multi-dimensional shades are perfectly blended to give your hair dimension and depth. Your stylist will consult with you on the desired result and select a foil or balayage technique to create color that complements your style and achieves your desired #hairgoals. From keratin smoothing treatments to permanent waves, Salon 124 offers a variety of services to help you achieve the hair texture you desire (even if you weren’t born with it). We currently offer the Keratin Complex Natural Keratin Smoothing Treatments and Express Blow Out. Repair damage and block the effects of humidity with treatment developed to last up to five months. Ideal for curly or frizzy hair seeking long-lasting smoothness, manageability and less blow dry time. Speedy smoothing treatment in 60 minutes or less. Lasts up to six weeks depending on hair type. Great for curly or frizzy hair looking for a quick-fix to decrease frizz while increasing manageability. Offers volume, texture and curl. Price quoted at appointment. If, for any reason, you need to cancel or change your appointment, we ask out of consideration for both our team members and other guests, to please call 24 hours prior to your scheduled appointment. We understand life gets hectic and things come up; however, if you are unable to cancel your appointments and no-show three times, a minimum $25 cancellation fee will be applied to your salon account. That fee is reflective of the time and services booked at your most recent missed appointment, not to exceed $50.